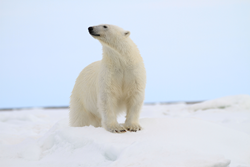 February 8, 2016 – Leading expedition travel companies—International Expeditions, Quark Expeditions® and Zegrahm Expeditions—are pleased to announce a three-year joint collaboration with The Nature Conservancy. Building on the continuous dedication of each expedition travel company’s current efforts to protect the planet, this partnership presents an ideal alignment with the Conservancy’s mission to protect the lands and waters on which all life depends. The Conservancy has grown to become the world’s largest and most respected international conservation organization. Each expedition company is perfectly positioned to help the Conservancy raise awareness about preserving and restoring the natural world. Together, the organizations will be introducing more people to the wonders and value of nature by highlighting the Conservancy’s efforts in trip programming and marketing, and, when possible, the Conservancy’s scientists and staff will join relevant expeditions to continue the education in the field. A portion of each expedition guest’s trip cost* will be contributed to The Nature Conservancy over the next three years to help fund the Conservancy’s mission to conserve lands and waters on which all life depends. Participating expedition guests will also be eligible for a complimentary one-year membership with The Nature Conservancy. The affiliation will allow travelers to learn more about the Conservancy’s work in over 35 countries and encourage guests to take action to help protect nature. “We are so proud to be commencing this joint partnership with a world-renowned conservation organization,” states Van Perry, President of International Expeditions and Zegrahm Expeditions. “Each of our individual commitments to conservation has shown that in collaboration, we can be the collective voice to help The Nature Conservancy reach its goals and protect the world we are all passionate about exploring,” adds Andrew White, President of Quark Expeditions®. A celebration to announce the partnership was held on Thursday, February 4, 2016 at the National Press Club in Washington D.C., and was attended by local press; the Conservancy’s Geof Rochester; and representatives from International Expeditions, Quark Expeditions® and Zegrahm Expeditions, including Portfolio Managing Director of TUI’s Adventure Travel Division, Hans Lagerweij. The event marked the official launch of the partnership. To learn more about this partnership, visit http://www.IEtravel.com/nature-conservancy, http://www.QuarkExpeditions.com/nature-conservancy, or http://www.zegrahm.com/nature-conservanc y. To learn more about the Conservancy, visit http://www.nature.org. Between February 4, 2016 and December 31, 2018, International Expeditions, Quark Expeditions®, and Zegrahm Expeditions will contribute 0.5% of the retail price of a direct sale within the United States of a tour, vacation package or expedition with these companies, with a minimum guaranteed contribution of $244,650 by each company to The Nature Conservancy. The mission of The Nature Conservancy is to conserve the land and waters on which all life depends. More information about the Conservancy is available by mail at 4245 N. Fairfax Drive, Arlington, Virginia 22203, by phone at (800) 628-6860 or at http://www.nature.org. A “direct” sale shall not include any bookings for non-US customers, any travel agent, special interest or group bookings, or any cancelled or refunded bookings other than cancelled bookings for which the entire tour, vacation package or expedition price is retained by these companies; and the price of a tour, vacation package or expedition shall not include any taxes, fees, or incremental purchases such as, but not limited to, air fare, park fees, extra hotel nights, trip extensions, etc. Specializing in expeditions to the Arctic, Antarctic and sub-polar regions, Quark Expeditions® has been the leading provider of polar adventure travel for 25 years. With a diverse fleet of specially-equipped small expedition vessels, icebreakers, and unique land-based adventures, it offers travelers unparalleled access to the most remote places on earth. Led by passionate and seasoned expedition teams, including scientists, naturalists and researchers, the on-board program focuses on guest interaction to educate and enrich the passenger experience. The company is known for its unwavering commitment to safety and sustainability, and was the first to offer passengers — free of charge — carbon-neutral voyages in Antarctica aboard the Ocean Diamond. With over 25 years in expedition travel, Seattle-based Zegrahm Expeditions Inc. is a leading adventure travel company specializing in small-ship expedition cruises, tours, and safaris to remote and intriguing destinations around the world. Led by expert guides and lecturers, Zegrahm itineraries are carefully crafted and all-inclusive, feature deluxe accommodations, and operate in all seven continents. The Nature Conservancy is a leading conservation organization working around the world to protect the lands and waters on which all life depends. Together with its more than 1 million members and 600 scientists, the Conservancy has protected 120 million acres of land and 5,000 miles of rivers worldwide, and operates more than 100 marine conservation projects globally. The Conservancy works on the ground in all 50 U.S. states and more than 35 countries. To learn more, visit http://www.nature.org.